It is not everyday animals cry, but this mama dog could not hold back her tears of joy when reunited with her puppies. This footage has caused controversy as many are claiming that dogs are not able to cry and it may be a sign of infection. 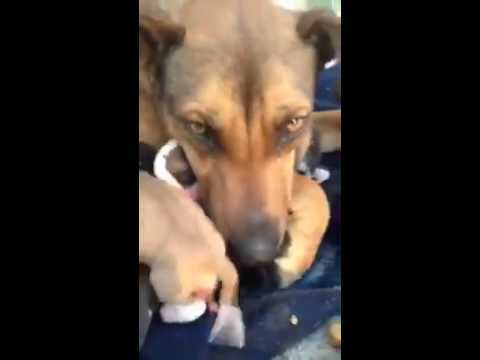 This mama dog sure does look happy being reunited with her pups and can not let go of them.